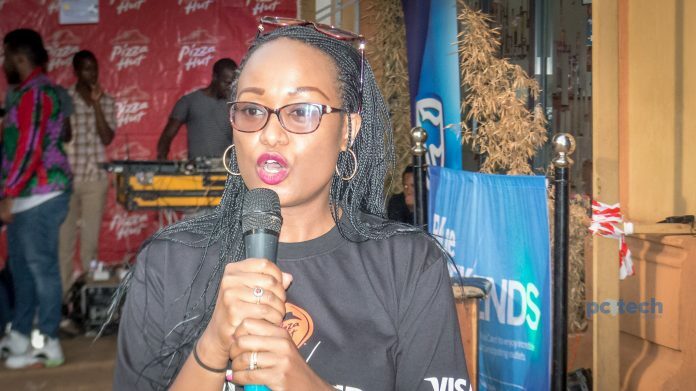 Stanbic Bank Uganda in March launched their cashless campaign dubbed; Blue Weekends that allows its customers pay, as well as receive discounts through their Point-of-Sale (POS) terminals. The campaign runs throughout this year and is only activated from every last weekend in a month from Friday to Sunday at only participating outlets including; Monot Bar, Piato restaurant, Le Chateau restaurant, and Karveli restaurant – as revealed by the bank. On June 29th, Stanbic Bank Uganda, added a new participating outlet; an American restaurant chain and international franchise; Pizza Hut. The partnership comes at a time where the restaurant was unveiling its 16-Inch in size pizza (75% larger than their large pizza) priced at UGX55,000. “As a bank, we’re ardent on digitizing customer experiences through the use of our digital payment platforms. Pizza Hut is a well-known outlet and brand that brings friends and families together, suited to our customers’ lifestyles. Therefore, bringing them on board enables us to fulfill their aspirations and ambitions through providing the utmost convenience for customers without ever having to worry about carrying cash,” Stanbic Uganda’s Senior Marketing Manager; Sonia Karamagi Kassaga told the press. Recent reports show out of Uganda’s banked population of roughly six million people in the market; about 1.5 million have Visa cards of which 99% of all transactions are done via ATMs. The challenge however is that card usage in Uganda is very low at only between 2% and 5%. “We want to grow these numbers. Our aim is to provide convenience and to promote a cashless economy. Customers can access their bank accounts through the card itself rather than going to the banks to withdraw money which ultimately offers the same goal which is money for transaction,” said Karamagi. According to Michael Davis, the restaurant’s Principal Operator, Pizza Hut always puts the customer first and joining the Blue weekends campaign is simply another step in giving back to their customers and appreciating their loyalty.